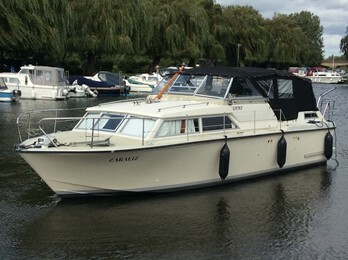 Coronet cruisers were built in Denmark by Botved boats during the 1950's - 80's.the first Coronet to come into Britain was in 1963.The first craft were constructed with a GRP hull, fitted with teak and mahogany superstructures. Latter production was all GRP. The craft are generally semi displacement designs and were fitted out to high standards.